MSI plans to debut their new Q™Premium Natural Quartz additions—among other countertops, decorative mosaics, and wall tiles—at the Kitchen and Bath Industry Show. KBIS will be held at the Orange County Convention Center in Orlando, Florida, January 10-12, 2017. The largest natural stone and quartz countertop supplier in North America, MSI will introduce a variety of new QTM colors – in addition to natural stone and porcelain products—at booth S4231. MSI’s industry-leading brand, Q™ Premium Natural Quartz, now offers more than 55 colors. Sam Kim, Vice President at MSI, addressed the market’s obsession with quartz countertops with white marble designs, “Since white marble lookalikes are growing more fashionable by the moment, we just added nine of them to make Q™ the edgiest collection ever. Our expanded color palette features more whites and grays—with some designs inspired by Italian marble. All options in the line feature super realistic styling.” Statuary Classique and Calacatta Verona are two of the new white marble colors in the lineup of more than a dozen. The styles run classic to modern, featuring a range of barely-there veining with subtle tones to dynamic striations with lots of movement. QTM is low maintenance, stain-resistant, and nearly indestructible. It’s also backed by MSI’s best in class supply chain, a lifetime residential warranty, and competitive pricing, making it a natural choice for architects, builders, designers, and kitchen & bath dealers. Additionally, MSI plans to introduce the latest colors to theirNatural Stone Slabs & Countertops Collection. Twenty super-trendy new shades are now available in 2CM and 3CM slabs. From granite to quartzite, the collection features brilliant whites, cool grays, and warm earthy shades. The company will also reveal additions to the Decorative Mosaics and Wall Tile lineup. It’s filled with inspired designs and modern colorways. An expanded line of Natural Stacked Stone Ledger Panels will be on hand as well, showcasing chic new colors, looks, and finishes. will also have an opportunity to view Stile™ Thin Porcelain, a new generation of porcelain developed by MSI in recent years. 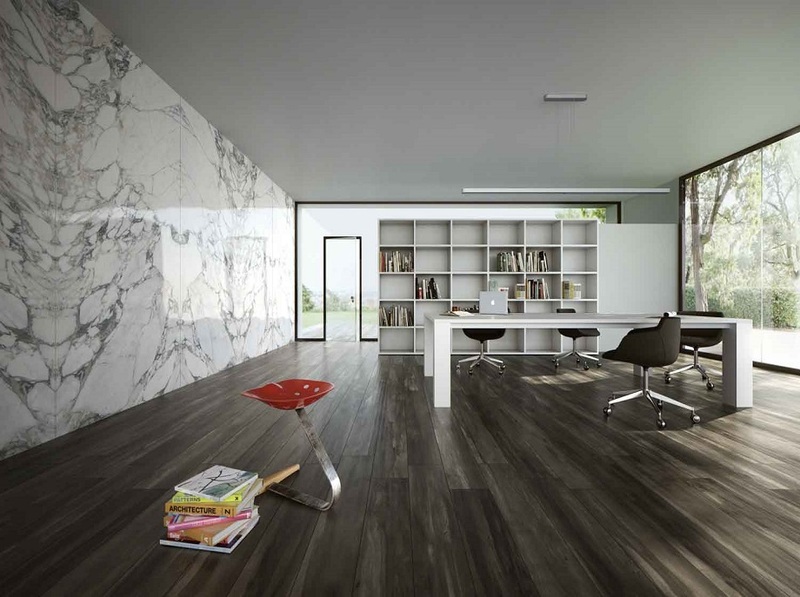 “Stile is an ultra-thin large format porcelain line with a high-style sensibility ideal for elevating home and commercial projects. It’s available in six exceptional colors, and we just added new matte and book match styles to round out the collection,” said Kim. For event information or to schedule an appointment with an MSI sales representative, please visit MSI’s K BIS page. Founded in 1975, MSI is the leading supplier of Premium Surfaces including flooring, count ertops, decorative mosaics and wall tile, and hardscaping products. MSI’s product offering includes an extensive selection of granite, marble, porcelain, ceramic, quartz, glass, quartzite, and other natural stone products. Headquartered in Orange, California, MSI also maintains distribution centers across the United States and Canada. MSI’s product line is imported from over 36 different countries on six continents bringing the very best products to the North American Market. The company maintains an inventory of over 125 million square feet of material. For more information on MSI, visit: www.msisurfaces.com.